Why ship a race NSX from Japan to Europe? This is to celebrate the 30th anniversary of Spoon Sports. 30 years of developing performance parts for Honda’s. What is so special about Spoon and why do people love this brand? For these answers we have to go back in time. 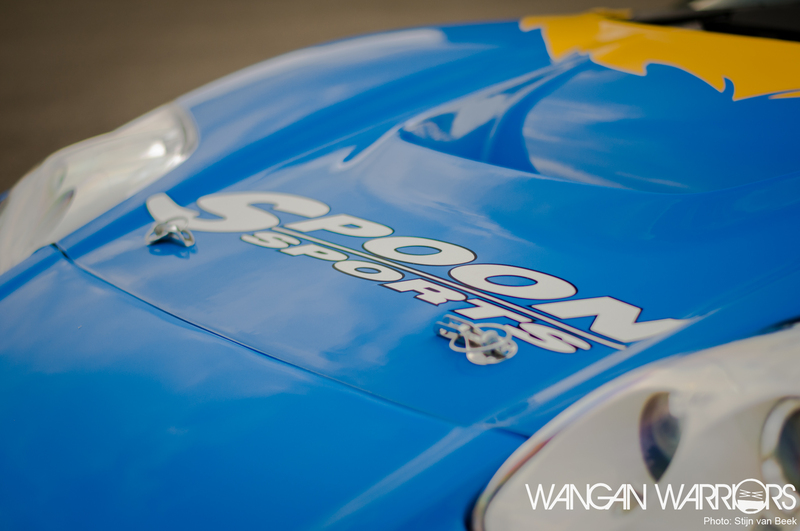 Spoon was founded in 1988 by Tatsuru Ichishima, a domestic racing driver. 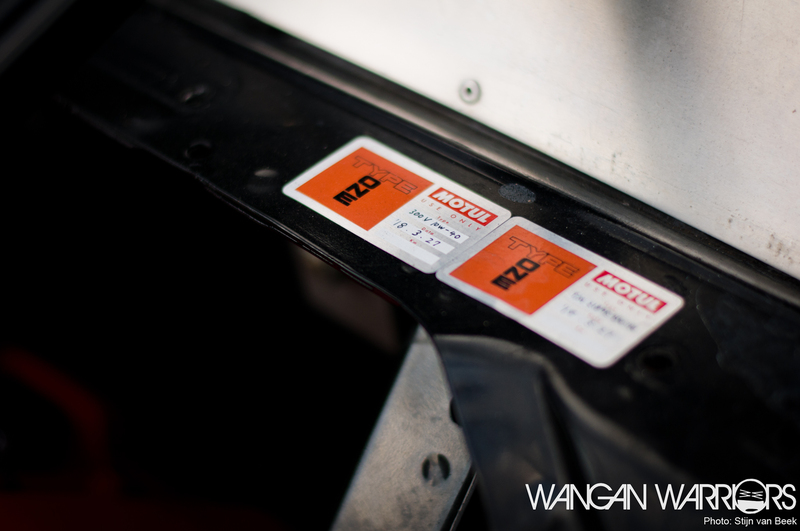 When Honda launched the Civic Si and CR-X Si, Spoon started to develop performance parts for these cars with the purpose to bridge the gap of the race car and the road going car. In the 30 years of existing Spoon achieved a lot of things. 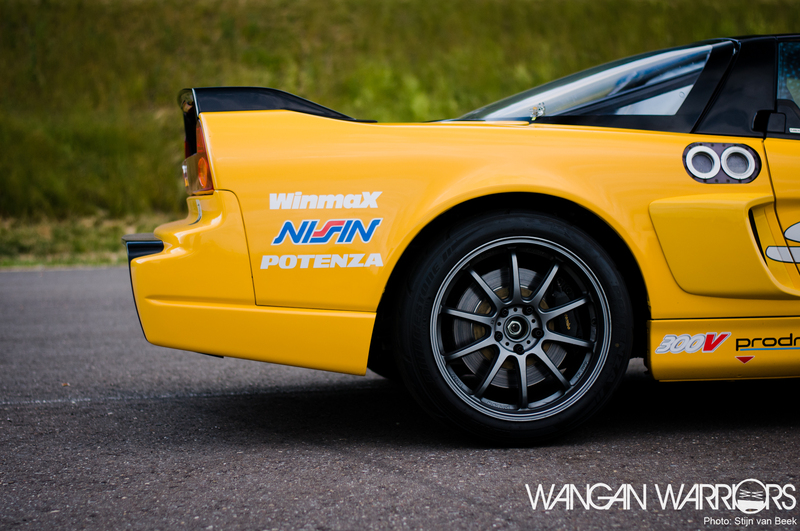 In 1990 the legendary NSX got released and Spoon raced with a race NSX in the Macau GP and achieved the 3rd place in class. 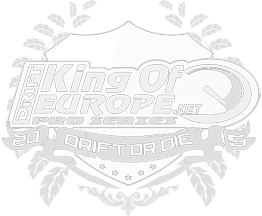 in 1992 they build a Civic EF9 and participated in the domestic touring car endurance race. In 1997 the first Civic Type R got launched, the EK9. Only six days after the release they raced in Suzuka with the EK9. In 1999 Spoon was the first to build a S2000 race car and participated with success in the Tsukuba 9 hour endurance race, finishing 1st in class and 2nd overall. After this it raced in Germany at the Nürburgring 24 hour endurance race and became first in class. In 2001 they opened the Type R specialty shop “Speed Shop Type One”. 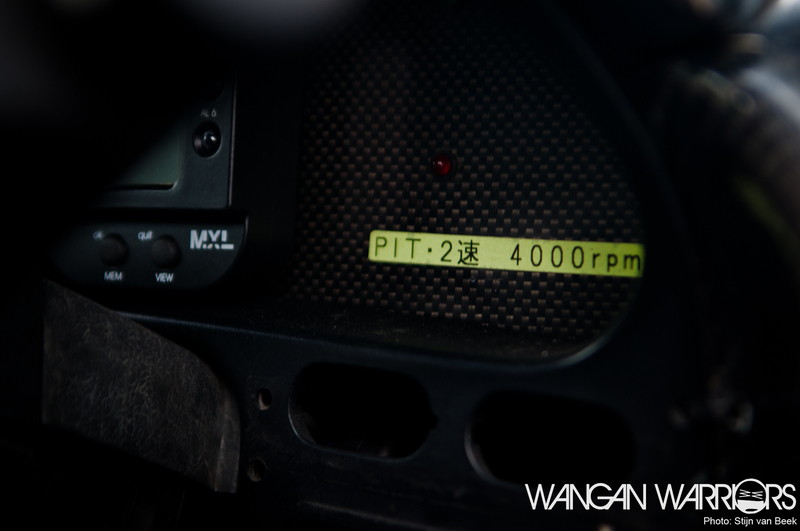 A short period later they released Japan’s first monocoque 4-pot calipers, dedicated to the S2000. These examples are only a handful of the many many achievements of Tatsuru and Spoon. 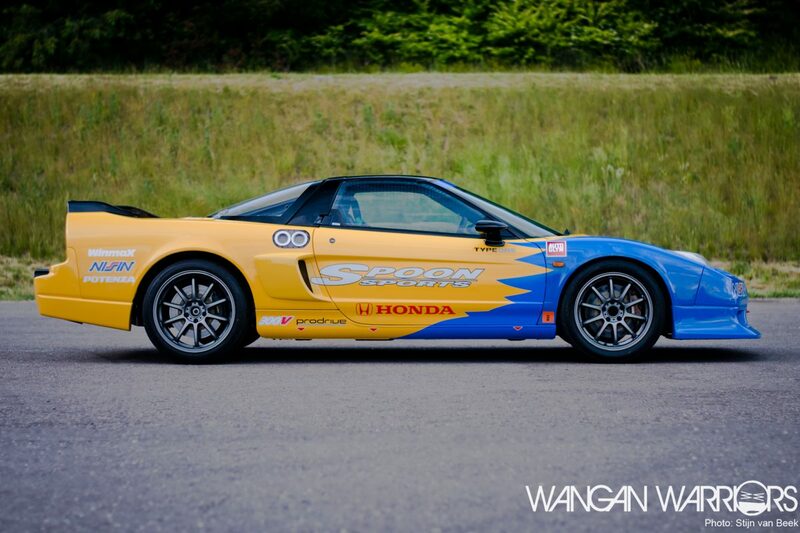 The NSX, EK9 and S2000 were the cars that made Spoon the brand as it is today. In 2008 and 2009 Spoon wanted to race again in the Macau GP so they built two cars, one Turbo NSX and this N/A NSX. 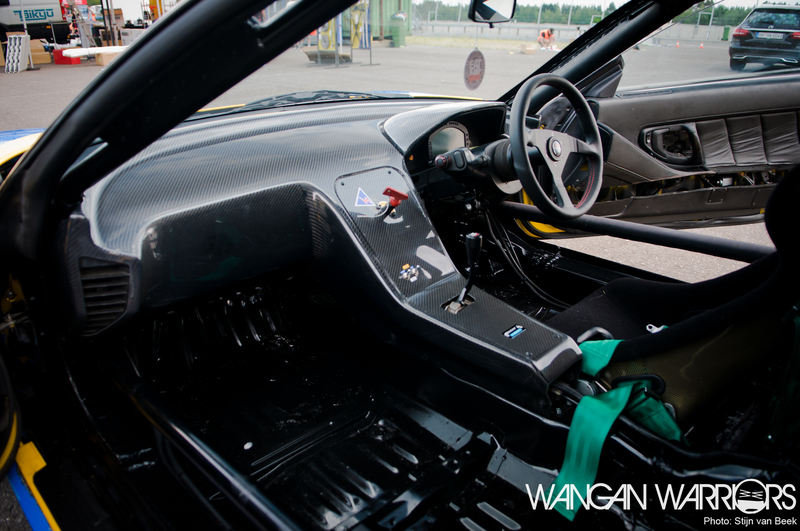 The NSX started its life as a NSX-R. All the sound deadening and unnecessary weight is removed and a multipoint roll cage is installed. Current engine configuration is a brand new blueprinted and balanced 3.2 NSX-R engine mounted to a blueprinted 6-speed NSX R gearbox with Spoon LSD and final drive. The engine is fed air by the OEM intake with Spoon air filter and enlarged throttle body. Exhaust gasses exit the engine through a prototype Spoon tubular racing manifold and virtually unsilenced race exhaust. The fuel is delivered to the engine from a race compliant fuel cell with ATL high speed refiling provision and through Spoon balanced injectors mounted to the OEM fuel rail. Continuing with the simplicity the handling is managed by a set of Spoon prototype race suspension and the geometry is kept in touch with the Spoon Rigid Collars. As the car has been built with endurance racing in mind the brakes are Motorsport Brembo calipers on the front and rear with two piece floating rotors. 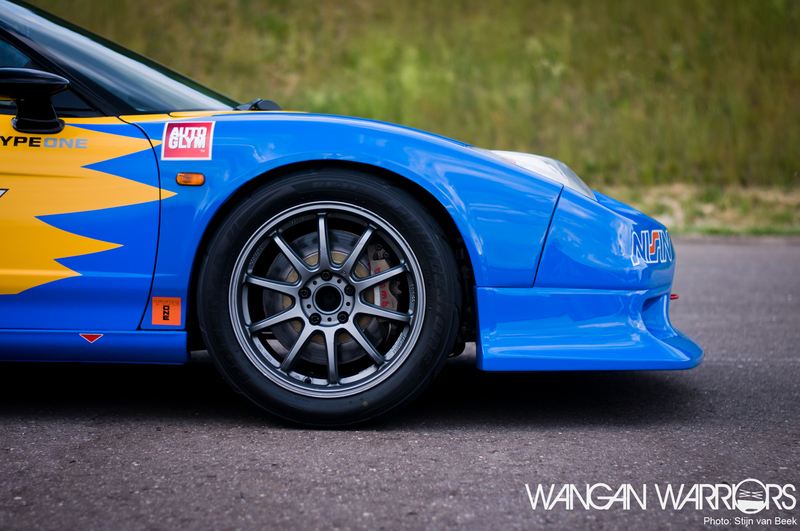 Surrounding the brakes are Forged Prodrive GC010 superlight and strong wheels with Bridgestone tires. The exterior is finished in the familiar Spoon livery covering the full NSX-R GT aero including front and rear bumpers, bonnet, spoiler and finished off with the Spoon Aero Mirrors. The interior of the car is simplistic. Only a few buttons and a clean display which contains all the info you need. 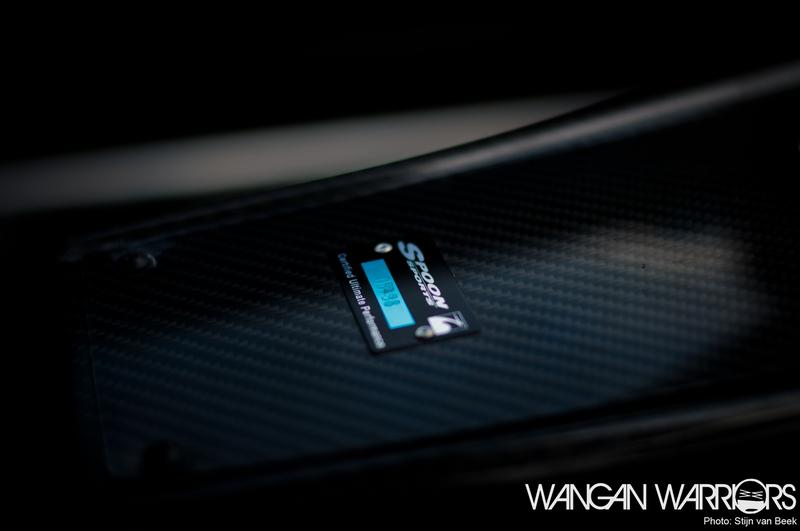 Almost forgot, did I mention the full carbon dashboard?! 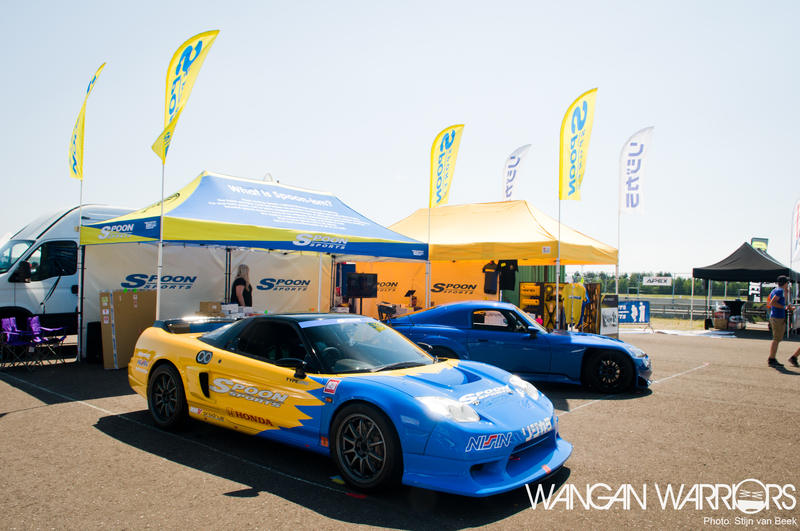 Hondafest 2018 in Meppen (Germany) was the first event the NSX was shown at during the “Europe tour”. Racepark Meppen was built next to a big cooling tower. The NSX did some demo laps on this twisty 2.1 kilometer track and it sounded insane. 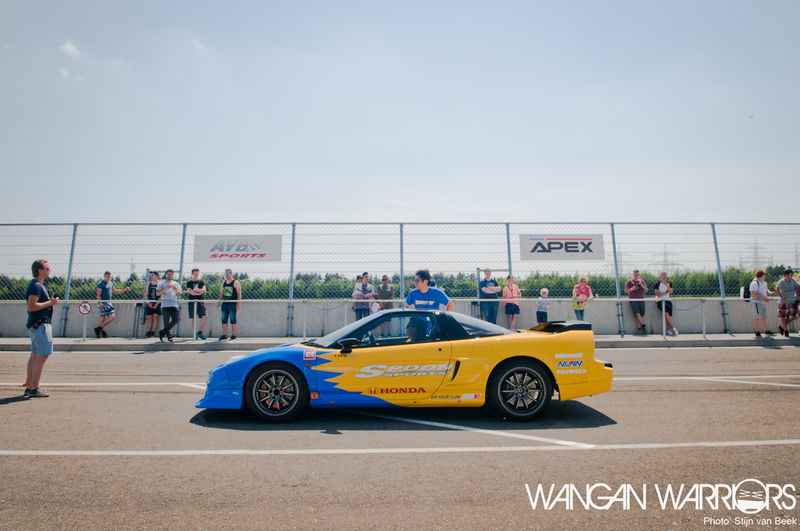 Due to the sound the NSX made it was only possible to do a few laps. For the occasion two employees from Spoon came to this event, Noriko Atsuta (Export Sales Division) and Daisuke Jomoto (Manager of the Research and Development Division). After the event was done i went with Daisuke on the track to make some track action shots of the car. Daisuke started at the Honda Technical School and has been working for Spoon for 18 years. I really like to meet people like Daisuke and Noriko who are very kind and passionate with their brand. What a great day this was. I had the honor to see this historic car in the flesh, meet really kind people from Spoon and see this car going around on the track. Before I sign off I want to thank the event manager of Racepark Meppen, Rutger, who was really helpful and the organisation of Hondafest.  Bonus images after spec list.